Great leadership is made up of numerous different elements and roles, which come together differently in different leadership styles. One role that’s often overlooked is that of serving as a coach. If you’ve ever played or trained under a great coach, you already understand how vast and beneficial their influence can be. The best leaders, like the best coaches, give those around them permission to succeed and know how to help them reach their peak potential. Here are some of the most important coaching ideas shared by great leaders—ideas that can benefit anyone’s leadership in any field: Communicate with wisdom. As a coach and leader, you need exceptional communication skills. Your words should make people sit up, listen and feel inspired to act. Challenge the unchallenged. It’s important to know how to challenge others without making them feel criticized or scorned. Raise the bar. Set and maintain high personal standards. Keep raising the bar so others can follow suit. Encourage boldness. Encourage others to make mistakes and take bold moves. Nothing great was ever achieved by not being courageous. Embrace diversity. Understand and take to heart the value of diversity and take advantage of every opportunity to demonstrate and attest to its importance. View people in terms of their potential. Recognize the unrealized potential in those around you. Even more important, help them see it for themselves. Be available. Whatever your position, build a reputation as someone who’s approachable and quick to help. Accumulate resources. Develop an extensive network both within and outside your organization. Make it available as a resource for others, not just yourself. Provide solutions. Learn to seek out and develop win-win solutions and teach those skills to others. Be an optimist. Cultivate an optimistic outlook that guides you to focus on the possibilities and connections that others might miss. Create a compelling vision. Have a well-developed personal vision that you can communicate clearly and with inspiration. Present your vision in a way that encourages others to do the same. Coaches are great leaders because they know how to unlock potential and motivate people to maximize their performance. In short, they help others learn to be their best. And that’s what leadership is all about. 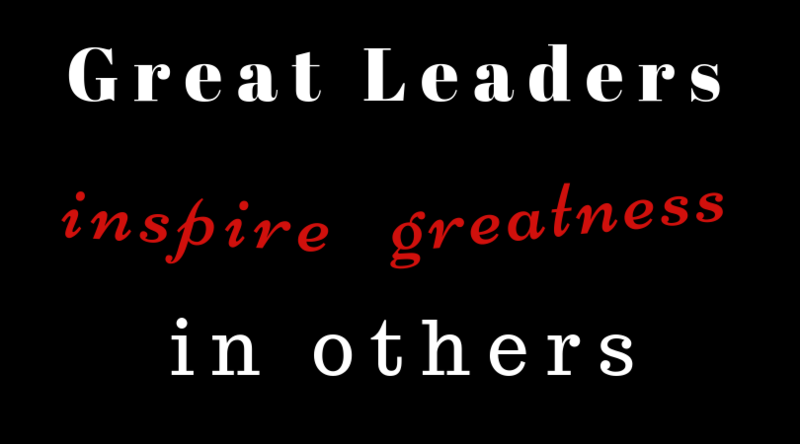 Lead from within: Great leadership isn’t about what you accomplish yourself; it’s about what you inspire others to do.